The JC Raulston Arboretum offers several ways to purchase plants for your landscape. 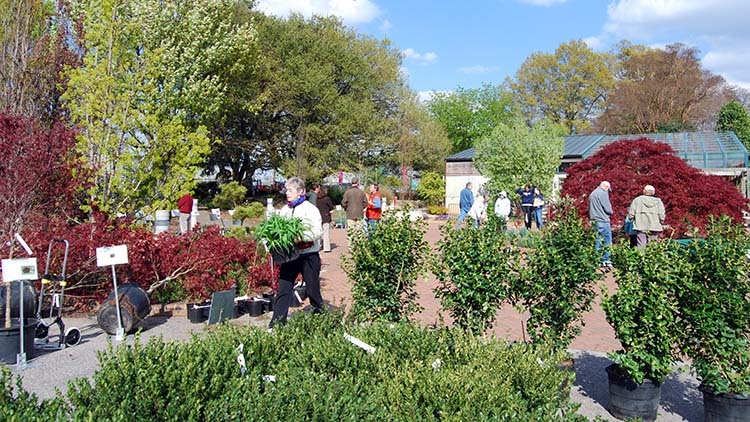 The JCRA offers thousands of plants for sale every spring. See what we've offered through the years. Just in time for fall planting, the JCRA offers its members an opportunity to preorder select plants from a variety of growers. Join today so you don't miss your chance to order some great plants in August. The 2018 Members-only Preorder Plant Sale is now open. Review the online catalog and place your order today. This listing is available only for viewing. Members were sent a link to the order site. 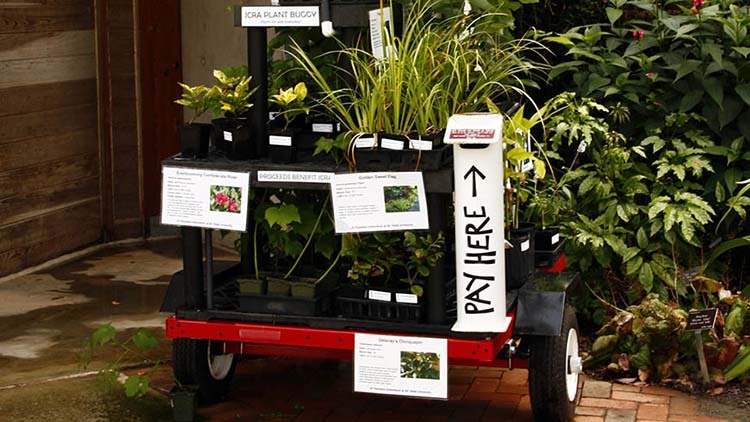 Next time you are at the JC Raulston Arboretum, be sure to check out the Plant Sale Buggy located outside the Bobby G. Wilder Visitor Center. First opened for business in summer 2013, it’s a popular spot for visitors to find a wide assortment of choice and unusual plants for your garden. Self-service purchases are made by cash or checks only, and it is open rain or shine during regular Arboretum operating hours. New plants are added weekly, so visit often. We're excited to finally offer the Friends of the Arboretum access to the source of our mulch. A big thank you to the folks at NC State University's Horticultural Field Lab (HFL) for their role and support in making this happen. This is destine to become another Arboretum member favorite. 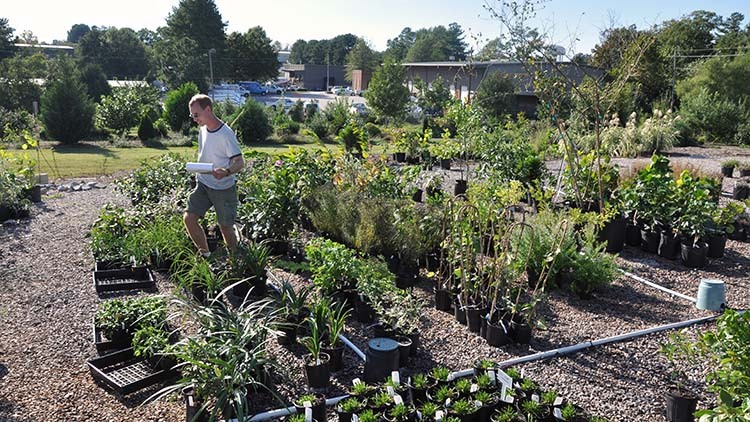 The JC Raulston Arboretum also gives away thousands of plants every year to our members. Your purchases keeps the JC Raulston Arboretum growing strong! Each gift, membership, or purchase supports the NC Agricultural Foundation, Inc. (Tax ID #56-6049304) for the benefit of the JCRA.